This VR game allows you decide how much motion is too much. When I boot up a new VR game for the first time, the same question always hangs in my mind. "So," I think, "how do you teleport in this game?" It's become a standard in virtual reality, the go-to movement system that lets players explore the digital realm without contracting simulator sickness. It works, but not perfectly. Warping from place to place avoids the disparity between vision and physical movement that causes nausea, but teleporting across a tiny walkable distance feels a little weird. From Other Suns doesn't change the basic function of the teleport mechanic but adds a nice twist: It lets you see your character actually walk to the teleport location. Believe it or not, this makes a big difference. 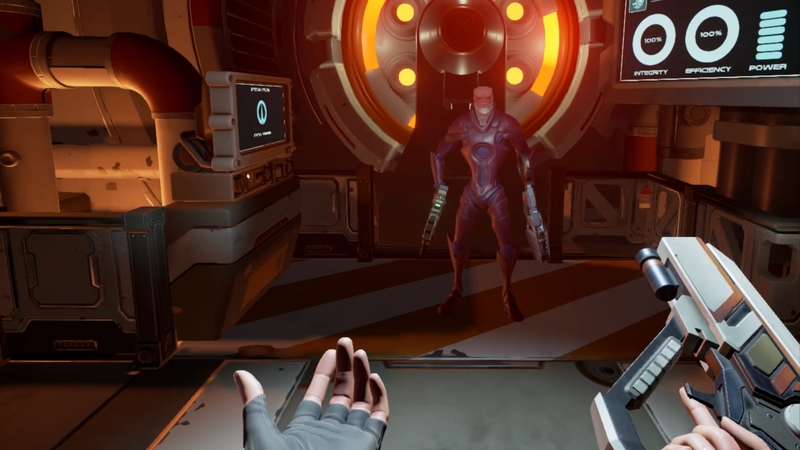 For the most part, From Other Suns is a first-person experience -- but when the player moves, her character model runs out of the player's view, pulling the game into a third-person perspective. Instead of "teleporting," this lets the player navigate spaces as one might play a fixed-camera adventure game. This is slower than instant teleportation, but it feels more connected to the game environment. As a player, you're not warping around a virtual world--you're walking through it, albeit in third-person. Feeling connected to the world matters, too. From Other Suns is a huge, open-universe space adventure game with countless procedurally generated environments to explore. Moving around that universe needs to feel natural. The game's version of teleportation is too slow for the first-person combat sections of the game. It's hard to strafe and dodge enemy fire with the game's slow walking animation, a situation worsened by the fact the view changes to third-person whenever you try to walk anywhere -- making shooting while moving impossible. Fortunately, this restriction applies only to the game's default "comfort mode." Turning it off puts the player in first-person mode exclusively, allowing her to move while shooting, avoid attacks and more quickly navigate the game's environments. Offering two movement styles seems reasonable and straightforward, but it's actually a huge departure from how most VR games are designed. Allowing players to move their in-game characters without moving their body risks creating a discrepancy between what the eye sees and what the body feels -- a classic recipe for simulator sickness. 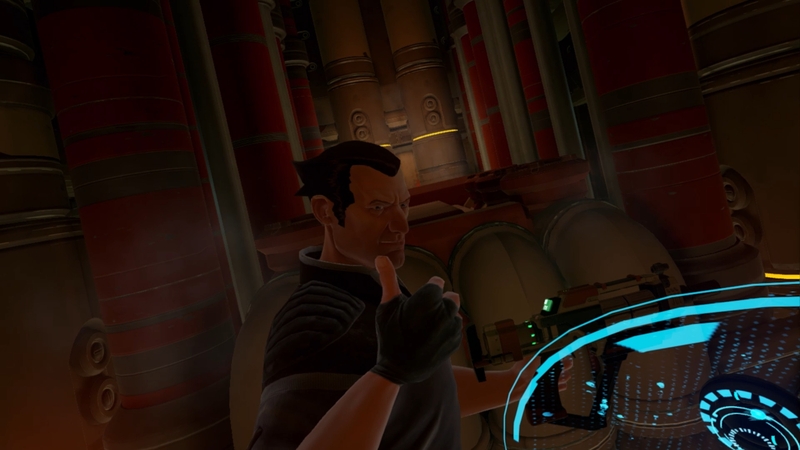 It's not an experience all players can handle, but by making it an option players have to search for, From Other Suns allows advanced players to decide for themselves if they can handle a more-extreme VR experience. Even if it's not normal, it's refreshing; it's all well and good to cater to the most comfortable travel mechanic, but it's nice to have the option for a more immersive experience if you know you can handle it.